KILLINGTON, Vt. (August 16, 2018) – Vermont's Pico Mountain, home to big mountain terrain, small mountain charm and part of the POWDR company, announced today a private mountain rental option on Tuesdays and Wednesdays during the 2018/19 season. 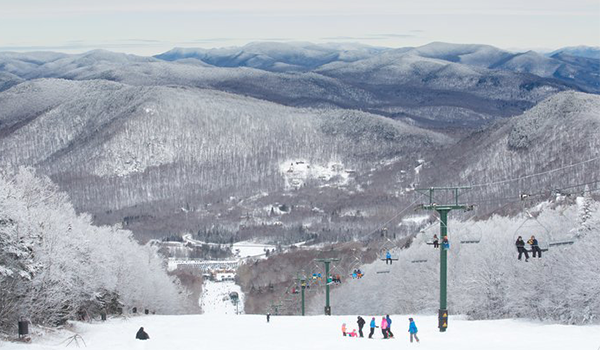 "This is a unique destination to host your next fundraiser, corporate event or family outing," says Lee Cohen, group sales manager at Killington Resort and Pico Mountain. "It's an unforgettable experience for you and your friends and a guaranteed way to get you first chair, fresh snow and no lift lines." The private mountain rental is $6,500 for up to 250 guests* and available to rent Tuesdays and Wednesday from January 8 through April 4, 2019. Food and Beverage services will be available upon request for an additional charge. For more information or to book call 800-752-2005 or email groups@picomountain.com. *Additional guests over 250 will be $15 per person.